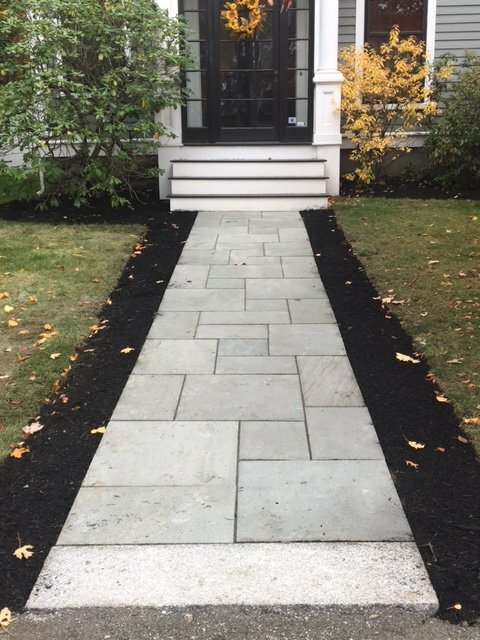 Landscapers Bedford MA | Concord Tree & Landscape LLC. We at Concord Tree & Landscaping help you with the true solution of Bedford landscapers. We have a group of landscaping professionals to help you change the look of your home exterior. We have the best things in possessions to make you try with the look of the home with the correct formatting of the landscape. It is the duty of the Concord landscapers to enhance the beauty and the value of the home. We make use of the innovative techniques and the styles to enhance the sight and the quality of the garden space. It is our responsibility to make the landscape better appealing. We have the right and the experienced landscapers Bedford MA to help you enhance the standard of living. There are more reasons for which you can approach us at the right time. The professionals we have really works hard in the weeding of the garden beds. We replace the plants in your garden and do tasks like watering and mowing of the lawn. The landscaper we have can prepare the maintaining schedule of the garden area. We visit your property at regular intervals to hold on the standard and the quality of the look of the garden area. Concord has the qualitative Bedford landscapers to work on the property with the right knowledge and sincerity. You can check with us online and get to know in details regarding our past history and working style. Once you hire us you can know about our specialties in details. Being a good landscaping company we can well manage trivial tasks like the planting of the bulbs and the shrubs and taking the best care of the flowers and trees. We help you with the right suggestions and advice in making the garden area look perfect and attractive. We also offer you with better references to help you have trust on us. There is much for you to consider in case of Concord landscapers Bedford MA. We have the ideal landscapers with official recognition and certification. This is the primary requisite we have as the standard landscaper. Concord is the authorized and the perfect landscaping company to help you in matters of legitimate landscaping. In case you are not happy with the exterior look of your home you can take help of our quality landscapers and give a call at Concord Tree & Landscaping.